When we were young: ‘Tarquin and his Troop’. There is no doubt that when you are very young a favourite book is a thing of wonder. I can still remember some of mine and even now I get a warm glow thinking back. It was a great pleasure then to work with ‘Tarquin Taylor’ to produce the beautiful children’s book of magical illustrations and fun rhymes that is ‘Tarquin and his Troop’. Just perfect for reading aloud with your own small human beings, this colourful paperback and ebook will hopefully provide some delightful memories for them and you too. Tarquin the elephant and his animal chums from around the world can also be bought in poster form to liven up nurseries and bedrooms, so what will be your favourite? I’m not allowed to say mine. We really hope this will become a bedtime delight and maybe inspire some future astronauts, doctors, scientists and bus conductors too! 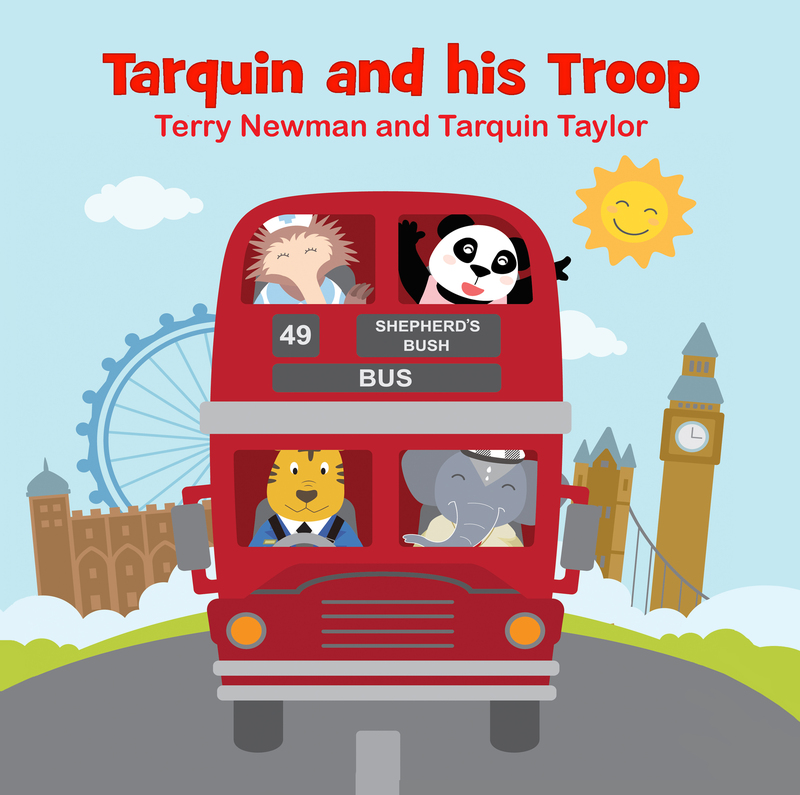 So, do step on the bus with ‘Tarquin and his Troop’ and have a happy journey. Continue reading When we were young: ‘Tarquin and his Troop’. Posted on April 8, 2018 April 8, 2018 Categories A Writer Gets a Word inTags children's rhymes, children's writing, comic verse, first books, illustrated children's books, kid's booksLeave a comment on When we were young: ‘Tarquin and his Troop’.